Defined by the DSEAR regulation an explosive atmosphere is a mix of dangerous substances within the air, under atmospheric conditions which can be in a form of mist, dust, gasses or vapors and after ignition the combustion spreads to the entire unburned mixture. Atmospheric conditions are normally referred to as “Ambient Temperatures and Pressures” Which means temperature of -20°C to 40°C which pressures of 0.8 to 1.1 bar. Where Explosive Atmospheres are Found? Explosive or potentially explosive atmospheres can be found or produced in many different types of work places. For example these types of condition can be found in any places which work with fine organic dust such as flour or wood shaving or workplaces which involve in the creation or release of any flammable vapors or gases. There are many dangers and to explosive atmosphere which can both damage your business physically and your employs. If an explosive atmosphere where to ignite without your business and a explosion where to occur it can cause many disastrous problems such as the loss of human life, serious injuries to employees as well as sequential damage to the actual building and the resources within it. What is an ATEX Approved Device? An ATEX approved device is an electrical device which could normally be harmful if places in a area which has or could potentially have a explosive atmosphere which has been manufactured or manipulated in some way to allow it to be used and placed safely in this environment so not to ignite the explosive atmosphere. Our range comprises of lightning, surge and combined lightning & surge protection devices used to protect against transient overvoltage’s caused by a direct lightning strike and power surges from the power grid. Our ATEX approved range places these protection units into a completely air tight, thick aluminum enclosure to stop any potential sparks of electricity which could expel from the device when it is carrying large amount of electricity from an overvoltage from igniting an explosive atmosphere. 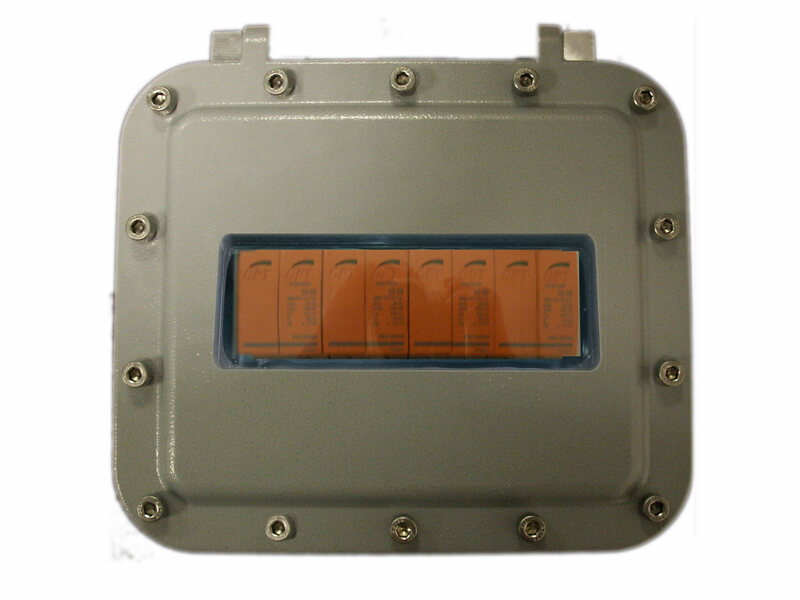 Our units are completely air tight to stop explosive gasses and dust’s from entering the enclosure, it has a transparent window to allow you to see the surge device in case of fault due to dealing with overvoltage and it fully wired and safe to install into an area which may potentially have an explosive atmosphere.